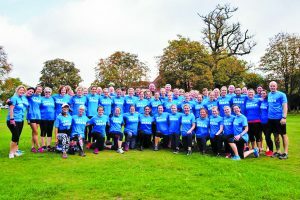 A FITNESS camp put people through their paces and raised £1,500 for Woking & Sam Beare Hospices. 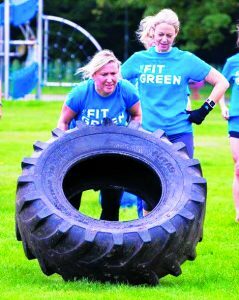 More than 50 “recruits” ran, jumped and flipped tyres and undertook other physical activities at St John’s Lye. Organiser of the Urban Tri, Steve Keywood, said: “We have such an amazing community. Phil Wormley, of the hospices, said: “A huge thank you to all the participants.